It's been clear that under the Trump administration, the NHTSA and EPA plan to roll back linked fuel-economy rules and emission limits on new vehicles. Now a possible justification that will be used has emerged—and it's not the one many advocates had expected. According to a Bloomberg report on Monday, the fuel-economy proposal due March 30 may lower the requirements because the agency will claim that will make new cars safer. 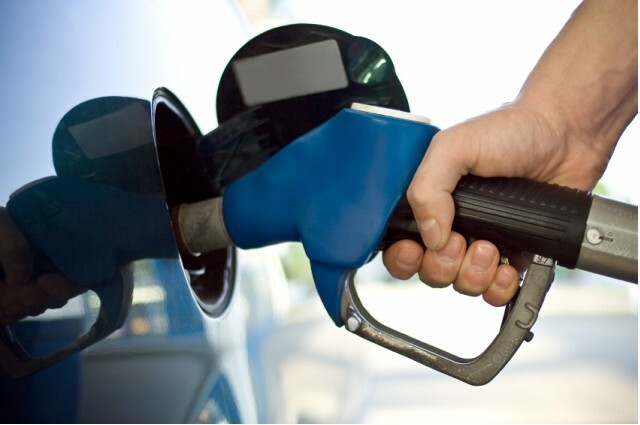 The NHTSA is reportedly planning to roll back corporate average fuel economy rules adopted in 2012 by as much as a quarter, not only for the 2022 through 2025 model years but possibly even the firm standards for 2021 vehicles. With 2019 model-year vehicles now on sale, automakers have essentially locked down the vehicles and powertrains they will offer for the 2021 model year that starts in less than 23 months. But the report suggests that NHTSA researchers are evaluating safety data to determine whether heavier, and hence less fuel-efficient, vehicles reduce injuries and deaths in crashes. One agency analysis, Bloomberg says, projects 1,200 fewer highway deaths over the 10 years from 2036 through 2045 if fuel-economy rules are reduced from the current 2025 fleetwide standard of 46.6 mpg to 35. 7 mpg. 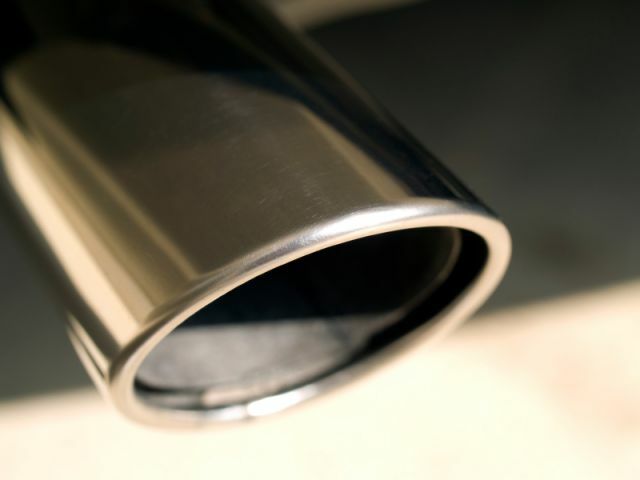 The Trump administration is now discussing proposals for weakened standards both with automakers and their lobbying arm, the Alliance of Automobile Manufacturers, and with the California Air Resources Board, which has the legal right to set its own, tougher standards limiting emissions. Remarkably, however, CARB told Bloomberg on Saturday it had not yet received a proposal from NHTSA, so it was unable to comment on any potential cuts to the national standards. Board spokesperson Stanley Young said the idea of any reductions in fuel-economy rules, which would allow new vehicles to emit more of the greenhouse gas carbon dioxide, would be "unwise." He noted that the rest of the world has no intention of curbing efforts to reduce carbon emissions drastically, and that reductions in the rules could hurt efforts by U.S. carmakers "to stay competitive globally." Such an action, he concluded, would "set the clock of automotive technology back a decade." 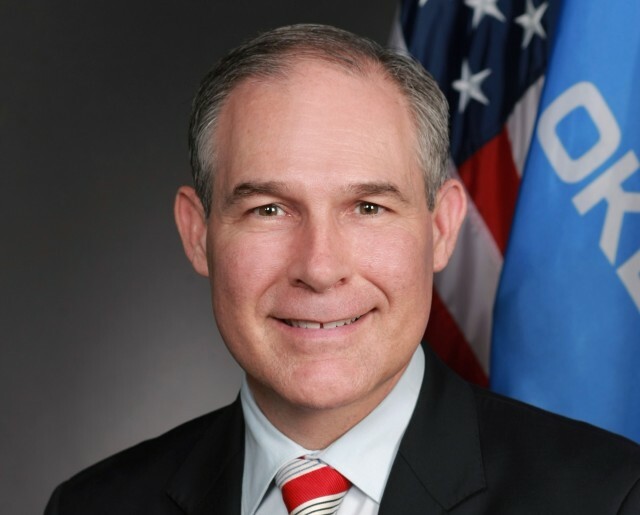 The lack of any proposal submitted to CARB may raise fears that EPA administrator and fossil-fuel supporter Scott Pruitt plans to attack the "waiver" under which the agency allows California to set its own emission rules. He said last July he did not intend to do that; time will tell whether he stands by that statement. While the idea that heavier cars are safer may seem self-evident, it's not a conclusion supported by all researchers. The Insurance Institute for Highway Safety has concluded that all other things being equal, heavier vehicles do protect drivers and passengers better in a crash. 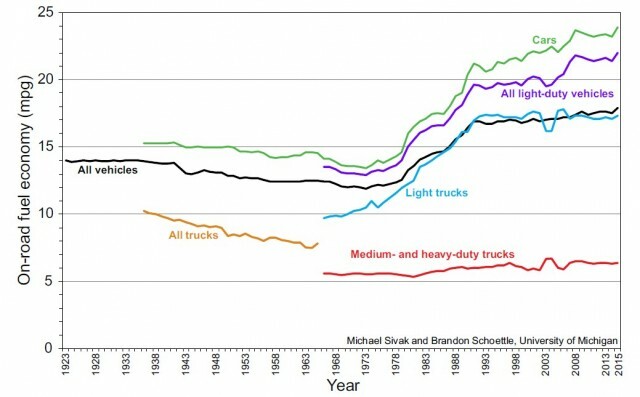 A 2001 study by the National Academy of Sciences concluded that downsizing of new vehicles following the oil crises of the 1970s and 1980s increased 1993 road deaths by 1,300 to 2,600. That study recommended that fuel-economy standards be tied to attributes like a vehicle's weight or footprint. The NHTSA revised CAFE rules for 2012 and later to vary by the vehicle's footprint—and in 2015, the academy concluded that change had satisfied a number of its safety concerns. But it's important to understand that today's cars can reduce injuries and deaths even in serious crashes that would inevitably have been fatal in earlier decades. Modern vehicles have up to a dozen different grades of high, very-high, and extra-high-strength steel in them, and massive amounts of high-powered computing goes into years of structural simulation, crash testing, and revisions to boost safety. Moreover, highly publicized testing by the IIHS and NHTSA has ensured that most mass-market vehicles must receive high scores on safety tests to sell in a market that increasingly takes those ratings for granted. If heavier vehicles are safer, by the way, that bodes well for battery-electric vehicles, virtually all of which are heavier than comparable gasoline-powered vehicles.